Every week we hold weekly discussions. You can join them too! 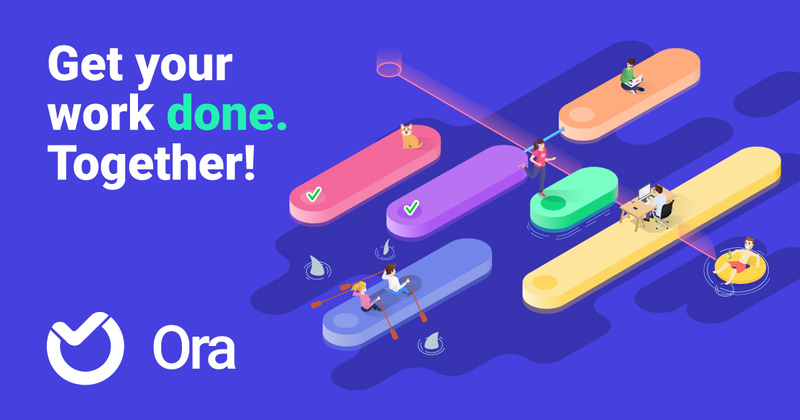 With kanban, time tracking, reports and team chat - ora.pm is your team’s command center! Bevry is a liberty focused cooperative aimed at seeing everyone enabled to do what they love, share it with the world, and live well. Duration of the calls have ranged between between 1 and 6 hours, with most between 1 and 4 hours. Participation in part is fine, and likely also valuable. When participating we request participants mute their microphones when not speaking and if possible wear headphones. This will improve audio quality by optimising for bandwidth on active transmissions, as well as reducing opportunity for background noise and feedback. Feedback is when the output of your speakers is captured as input into your microphone, causing what was output to become input again, creating an echo for everyone else. Having the audio go through headphones prevents the opportunity for feedback, as your microphone will be unable to hear the output of your headphones. To mute and unmute, tap the screen or wiggle the mouse so the buttons appear, then toggle the microphone button. If it is red, then it is muted. If there is background noise, a moderator may mute your microphone for you. Simply unmute it whenever you wish to speak. When joining the call, we will finish the current conversation thread before doing an introduction. In case we forget to do an introduction, feel free to introduce yourself and participate on your own will. Our meetings are comprised of people from all walks of life, countries, identities, politics, temperaments, and so on. The meetings are often a refuge from our everyday echo chambers, where participants can discuss and experiment with dissenting views with people who can play devil’s advocate, pushback, or expand. A place for participants to learn, grow, get feedback, and become less stupid. This liberty based dialogue also means we must respect the privacy of others at all costs. People can risk a lot in participating in these meetings, and they may be in environments or societies where such free exchange is penalised. The non-podcast calls should be considered and treated as private and confidential. The privacy of participants is of the highest importance. Participants, learnings, stories, discussions, etc should all be anonymised unless you have explicit permission from associated parties that you can do otherwise. As we cannot provide guarantees, you can choose to control your anonymity yourself, such as using a new Google account under an alias and using that to participate then anonymising yourself when you participate. If you are concerned about government surveillance, refer to EFF’s Surveillance Self-Defence and Privacy for Journalists. While we focus primarily on the agenda items, anything philosophy orientated is welcome. For the respect of time, we will attempt to knock off the agenda items first, then move onto larger tangents and personal discussions afterwards. If you need help with participation or have suggestions, please message the @Hosts.